The Dark Teal: great ideas. cool brands. this is what we need. great ideas. cool brands. this is what we need. 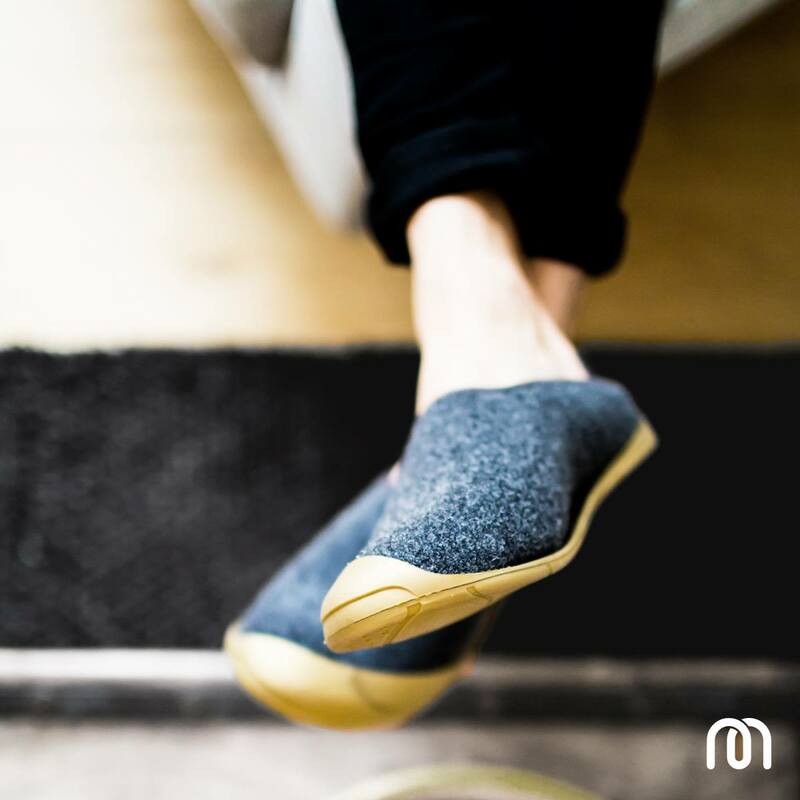 Recently I discovered mahabis, the brand that created my next slippers. It's a great idea. Adds minimal style and design to this piece so much need and that is part of our daily lives [at least on cold days] - slippers. It's never easy for me to find slippers. They are always 'too much', very colorful, with dolls or drawings, oversized. I know that it is because the market dictates the trends, but I never identified myself with this style. I want something that is comfortable but I can also get someone at home and don't have to switch to shoes. Even better, they have a special sole that can be placed when needed, a super easy way for when we need to go to the balcony, to the terrace, or even for the more 'adventurous', to the bakery to buy bread on mornings. Simply perfect. 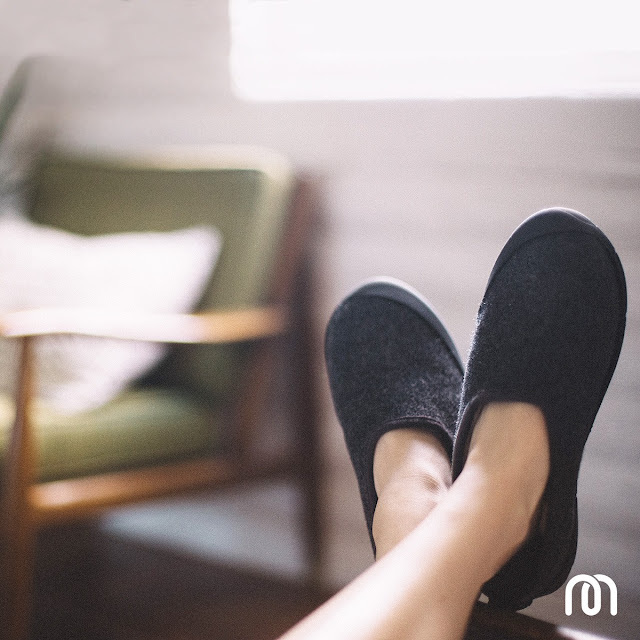 They integrate all that is essential in slippers - comfort, design, practicality, and better, although the brand is English, the slippers are manufactured in Portugal [is so good that my country production is recognized for its quality]. 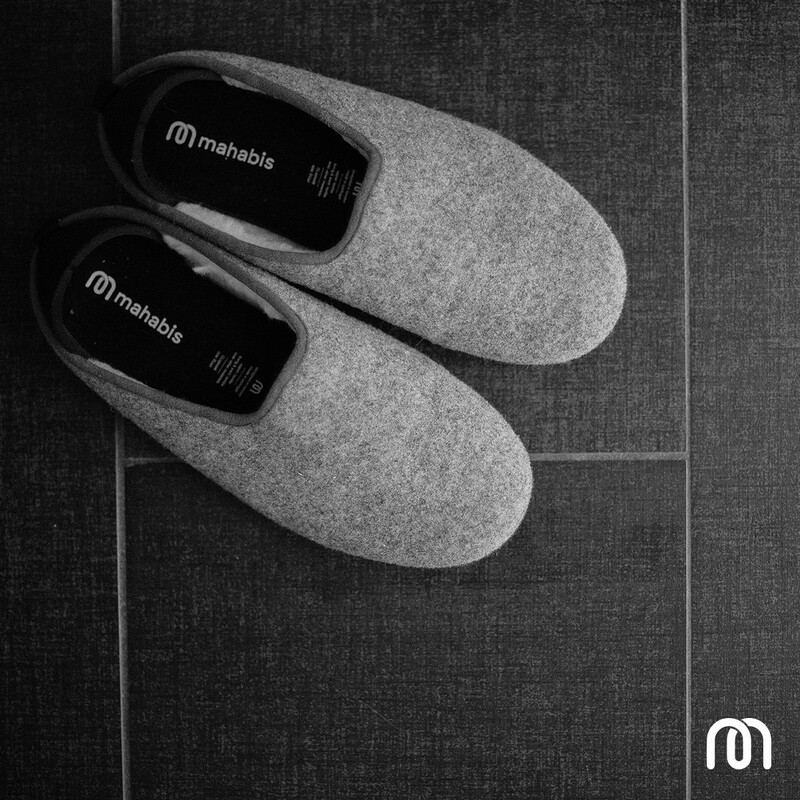 Recentemente descobri a mahabis, a marca que criou os meus próximos slippers. É uma ideia genial. 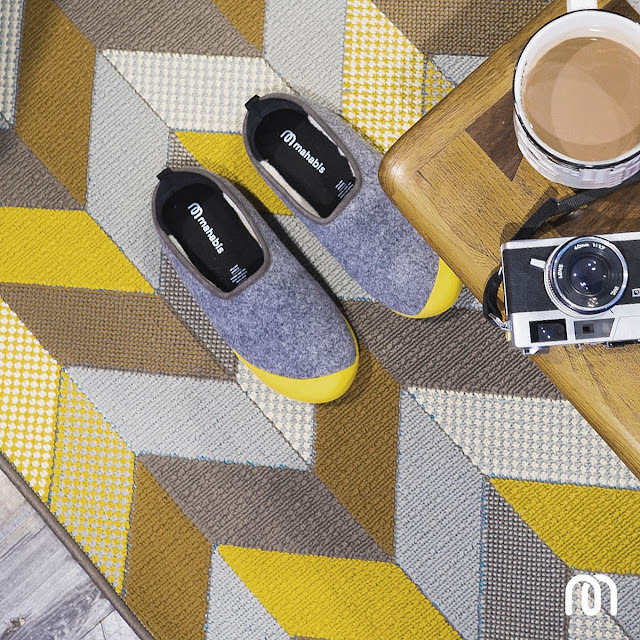 Acrescenta o estilo e design minimal a esta peça que tanto precisa e que faz parte do nosso quotidiano [pelo menos nos dias frios] - as pantufas. Não é fácil, para mim, encontrar pantufas. São sempre 'too much', muito coloridas, com bonecos ou desenhos, exageradamente grandes. Sei que assim são porque o mercado dita as tendências, mas eu nunca me identifiquei com este estilo. Quero algo que seja confortável mas que também dê para receber alguém em casa e não ter que trocar para sapatos. E o melhor, têm uma sola especial, que se pode colocar quando necessário, de forma super fácil, para quando precisamos de ir à varanda, ao terraço, ou até, para os mais 'aventureiros' ao café, comprar o pão pela manhã. São perfeitas. Integram tudo o que é essencial numas pantufas - conforto, design, praticidade, e melhor, embora a marca seja Inglesa, as pantufas são fabricadas em Portugal [é tão bom que a nossa produção seja reconhecida pela qualidade]. cool shoes. cool [new] brand. 7 shoes that you need for next season. such beauty. the perfect lingerie to sleep in. Ready for Spring with Lacoste. 7 spring top trends for a minimalist wardrobe.